Listed below, you will find the City of Gerald current water rates and policies. If you do not find the information you need, please contact our office and we will provide it for you. 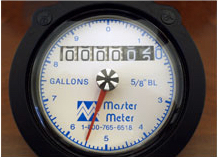 Section 700.170 Water and Sewer Rates. A. Schedule Of Rates. The schedule of rates for water service within the Gerald limits shall be as follows until hereafter changed, which right the City expressly reserves to itself. 2. An additional three dollars ($3.00) per one thousand (1,000) gallons or fraction thereof of water used per month. 1. Beginning on the date of passage of Ordinance 795 (11-12-15), the flat fee for all sewer users shall be eighteen dollars fifty cents ($18.50) per month. 2. There shall be an additional charge of four dollars seventy-five cents ($4.75) per one thousand (1,000) gallons, or fraction thereof, for water used per month. 3. There shall be a minimum flat fee charge, as set in Subsection (B)(1) above, assessed to multi-unit structures or multi-unit developments for each individual unit connected to a master meter. C. Sewer usage shall be determined by the amount of water usage metered each month. D. Sewer Rates — Consumers Outside City Limits — Consumers Not Connected To City Sewer. 1. When a consumer resides within the City limits, but is not connected to the City sewer, there shall be no sewer charge. 2. When a consumer resides outside the City limits, but utilizes City water, there shall be both a water and sewer charge regardless if sewer is available or not to such consumer. 3. When a customer resides outside the City limits and utilizes City sewer and no water, there shall be a monthly water usage estimate of three thousand five hundred (3,500) gallons. The charge for such sewer is a flat rate of three thousand five hundred (3,500) gallons multiplied by one and one-half (½) times the City rate (3,500 x 1.5 City rate). E. The Utility Clerk shall cause to have billing mailed to users as of the first (1st) date of each month.